"...Church Pews are a Must!" What was your first reaction to seeing the pews at your ceremony? we both sat in the pews to catch our breath and take in the whole scene." What was the convincing factor that made you realize you needed pews at your wedding? "We wanted the "church-like" feel and since we were getting married outside under a tree, I thought church pews gave it the perfect "church-like" feel we wanted." got them back from your wedding photographer? "We could not have been happier with them! Hothouse did a fantastic job decorating the pews!" 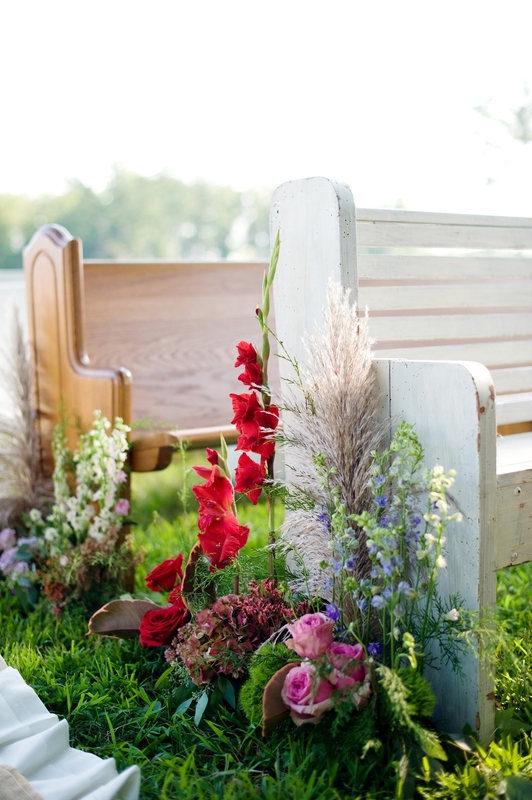 What would you say to brides who are considering having our church pews as a part of their ceremony? "I would tell them that the church pews are a must!! It brings the church feel and southern charm together so perfectly!!"